Parents are becoming more aware of the dangers of technology, especially as it affects their children and family. They’re beginning to understand the risks of online bullying, inappropriate social media sharing, and digital strangers. But most parents are probably much less aware of another lurking danger that, while usually frustrating to all involved, can seem innocent — a lost cell phone. Talking to your teens about what they should do if they lose their cell phone may not sound like an important conversation, but teaching your teen the steps to take if they lose their phone could save their life. Parents need to have a conversation with their teen about how they should use these tools. They can use the tool to locate a missing phone. But identifying the location of their phone doesn’t mean they should attempt to retrieve it. A teen should attempt to retrieve their phone if — and only if — it is in a safe and known location. Tracking apps may pinpoint a phone’s location at a friend’s house or area of the house. In that case, it is safe to retrieve the phone. But if the phone is at any sort of unknown address or public location, you should never attempt to retrieve the phone. While it may seem tempting to go after a phone once you know its location, it’s potentially very unsafe. You never know who may have your phone, what they are willing to do to keep it, or if they have it to lure a child to them. After using a tracking app to find his missing phone, 18-year-old Brampton, Ontario native, Jeremy Cook decided to attempt to retrieve the phone. He and a family member drove to the location of the phone where they came upon a car of three men. What happened next according to a report by CBC News in Toronto is a tragedy that could have been easily avoided. As Cook tried to retrieve his phone from the men in the car, the car began to pull away. Cook grabbed the driver’s door and was then shot. Cook died at the scene. 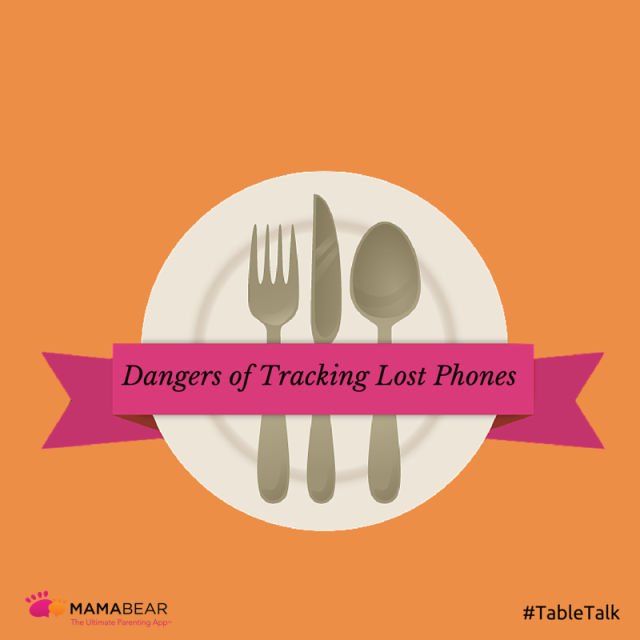 Tracking a missing phone can lead you to an extremely dangerous situation. If you locate a missing phone using a tracking app, do not attempt to retrieve it yourself if you don’t know the address. Instead, call the local authorities for assistance. Had Cook reported the missing phone to authorities instead of attempting to retrieve it on his own, things could have ended very differently. While deaths related to tracking phones are relatively few, there is still a very real possibility that a teen (or adult) could encounter a hostile situation while trying to recover their missing phone. No one should attempt to recover their phone on their own, and parents need to make sure that point is clear to their teens, who may not understand the real danger of tracking their phone. Technology has many dangers, but many of those dangers can be avoided with the right tools and parent-child communication. For help with managing the dangers of technology, parents can use MamaBear, the app for Peace of Mind Parenting™. Available for iPhones and Androids, this free app provides parents and teens with tools that connect and protect them through messaging, social media, and GPS location technology.